Mug Cake: Ferrero Rocher Nutella Cake in a Mug – Recipes. Simply delicious. We all know those days where we just have to have something sweet, and it has to be now! 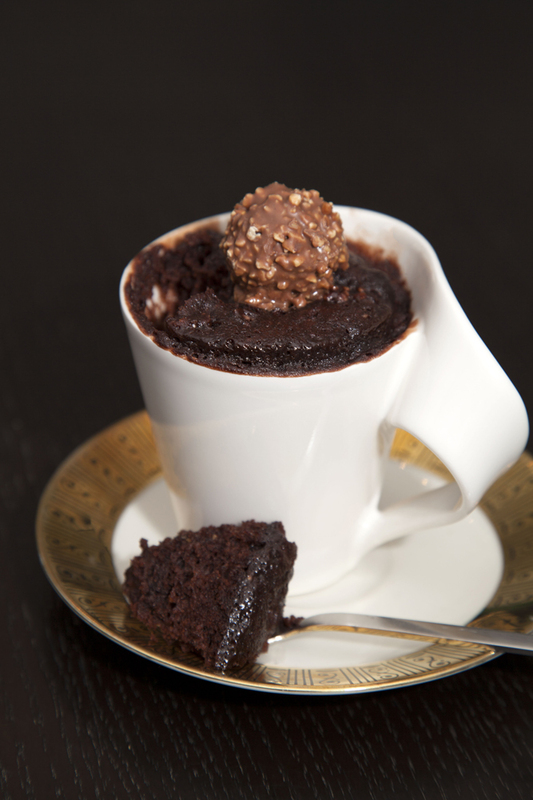 And preferably we want something that’s a real comfort food: how about this fresh, warm Ferrero Rocher Nutella Mug Cake. Ready in just 6 minutes, it will warm your senses. It’s especially perfect for the cold and wet seasons – just give it a try and you’ll be convinced! 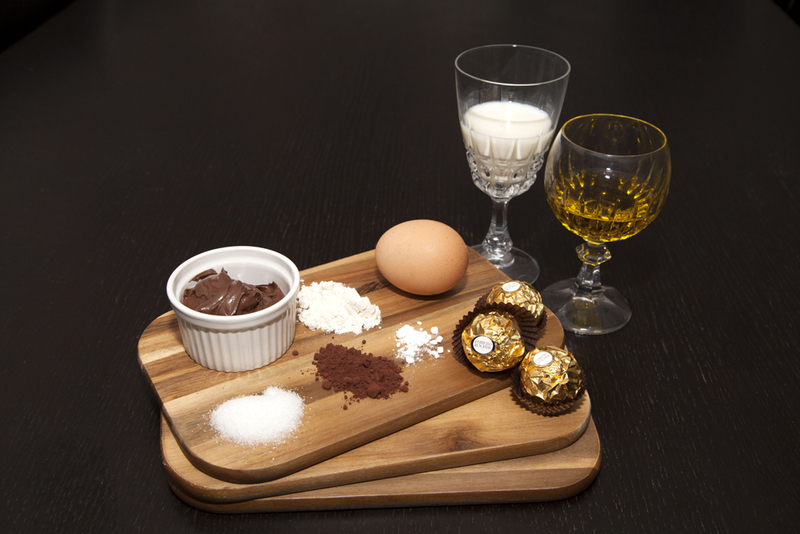 Chop 2 of the Ferrero Rocher balls into large chunks and set aside. Mix together the nutella, cocoa powder, milk, olive oil, flour, baking powder and sugar until you have a dough with a nice consistency. 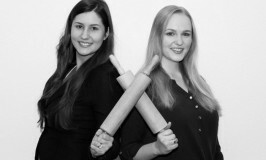 Fill your mug or mugs with the dough. 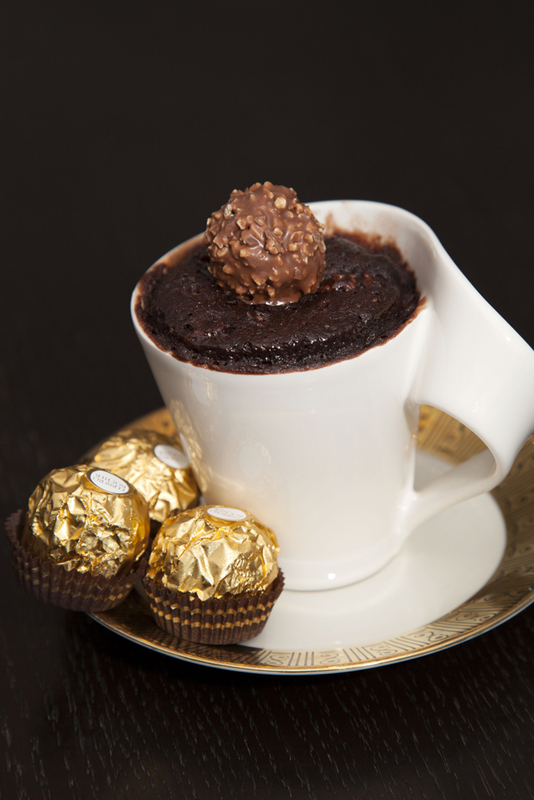 Add a decorative touch to each mug cake by placing 1 or 2 Ferrero Rocher balls on top and bake the mug cake for 1 minute on the highest heat. Check the mug after 1 minute: if you prefer your cake to be a bit softer and more moist than usual, allow your mug to cool now. Otherwise put the mug cake back in the microwave for another minute on the highest heat. This will give you the more classic consistency of a cake.